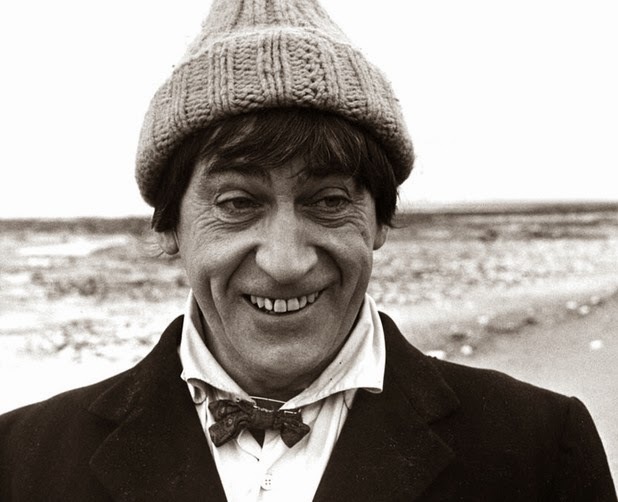 DOCTOR WHO - An appreciation of Patrick Troughton | Warped Factor - Words in the Key of Geek. 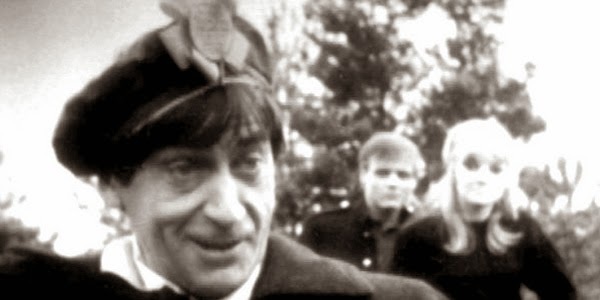 Guest contributor Christopher Morley looks back at the wonderful Patrick Troughton, and his time, and influence, on Doctor Who. 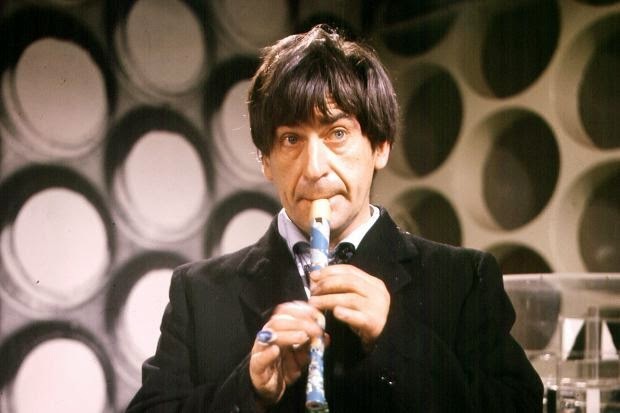 Perhaps the greatest tribute anyone could ever pay to the Second Doctor, Patrick Troughton, is that he's a large part of just why Doctor Who has lasted fifty amazing, wibbly-wobbly timey wimey years. With the First Doctor's body wearing a bit thin at the end of the Tenth Planet (as, so cruelly was Bill Hartnell's ultimate fate), the new man at the helm of the TARDIS had not just to save the universe, corners of which had bred & indeed would continue to breed the most terrible things..but also the series itself. And it's testament to him that not only did he do it with gusto, a Beatle haircut & a penchant for the recorder, but his three year stretch from 1966-69 is so well remembered even today. From The Power Of The Daleks to The War Games, the Troughtonian Era did so much more to safeguard the future of Who than Pat was ever given any real credit for. Had he failed, we most likely wouldn't be preparing to welcome a Twelfth Doctor at all, so its only right that his era be celebrated. Now then, when I say run, run! Where the First Doctor had been a sort of an ill-tempered grandad, his latest self was a mad uncle, full of life, throwing himself with seemingly reckless abandon into new adventures at the drop of a hat (which ironically he also initially had something of a thing for- witness the stovepipe from Power Of The Daleks & fetching Tam O'Shanter in The Highlanders). Add in a rumpled jacket & bow tie - that's right, the Eleventh wasn't the first - and you've got yourself quite a Doctor right there. He could be clownish, yes. Calculating, too? You bet. Oh, my giddy aunt! Often all in the same story. Witness the likes of The Evil Of The Daleks & Tomb Of The Cybermen. Both rightly held up as classic outings for classic enemies, and a great showcase for both sides of the renegade Time Lord. Consider his double-cross of his greatest enemies..promising to help them instil a 'Dalek Factor' in all of humanity to aid the power-mad Dalek Emperor (that's right, boys & girls, the one in The Parting Of The Ways was by no means the first), our Paul McCartney lookalike friend actually gives some specially selected tinpot dictators a little humanity, and Skaro erupts into civil war as a result. That'll teach them eh? 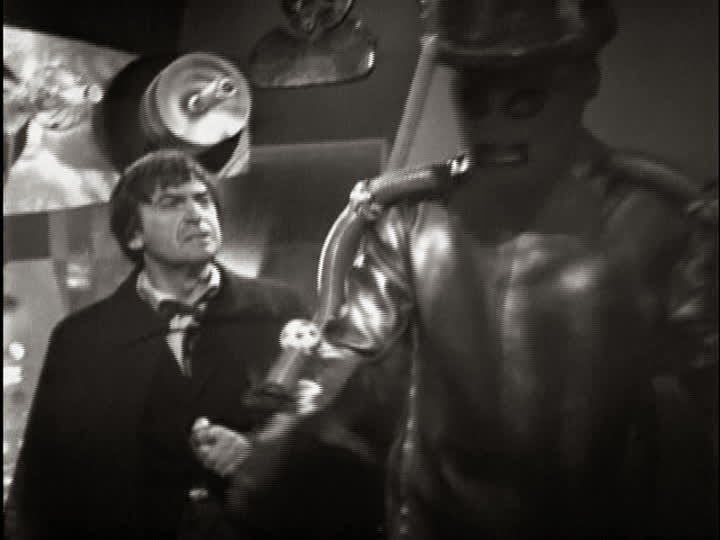 Then in Tomb, he goes from kindly confidante to the recently-orphaned at the hands (well, gunstalks in any case) of the Daleks Victoria Waterfield ('they sleep in my mind..' is a great forerunner to the Ninth's hint to Doctor Constantine that he had been both a father & grandfather in The Empty Child/The Doctor Dances) to schemer in one fell swoop, rigging the doors of the Cyber-Tombs so those nasty old Cybermen can't cause any more trouble. Added to this, he was more often than not a champion of the underdog. Whether it be helping a band of hardy Jacobite Scots avoid the attentions of the English in the aftermath of the Battle of Culloden, and in the process gaining a new companion in the hardy Caledonian shape of piper Jamie McCrimmon, or saving the inhabitants of Dulkis from the Dominators, no cause was too far lost for him to pitch in. All sounding at least slightly familiar to new-Whovians? If so there's a very simple reason why. Matt Smith loves him too, and so consciously set about making his own Doctor a veritable successor- hence the aforementioned bow tie. Episodically, Cold War would mean nothing without The Ice Warriors, Nightmare In Silver owes as much to Tomb as any other subsequent Cyber-story..the list could run on forever, winding long throughout the Time Vortex. Any further links between the two spotted by eagle-eyed viewers can be sent to us by hypercube (the handy floating thought-boxes appearing as they do in both The War Games & The Doctor's Wife as a brilliant Gallifreyan means of getting around Royal Mail postal charges). But while you sit & compose your own cuboid correspondence, let's run with the multi-Doctor idea in a roundabout fashion. 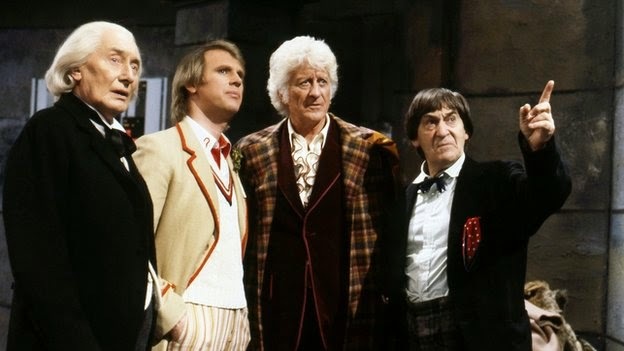 The Second holds the record for most returns alongside past/future selves, which is surely another clue to his longevity in the popular consciousness - he's there in The Three Doctors alongside his First & Third incarnations, in The Five Doctors with all the chaps he'd been up to that point and yet again in The Two Doctors with his Sixth. Not a bad haul for a bloke who's supposed to have been officially dead & replaced with a dandy since the dawn of the Seventies. Or was he? The Season 6B theory/timeline, elements of which are seen in The Two Doctors & expanded upon in the novels World Game & Players, actually suggests that instead of being shoved into the TARDIS & forcibly regenerated straight off the bat, he spends a little time undertaking missions as an agent of the Celestial Intervention Agency, then getting turned into a fop for his troubles, hence his 'passed out on Carnaby Street' look at the beginning of Spearhead From Space. But while time & fate have sadly robbed us of the chance to see the two Doctors arguably most alike sharing the screen in the shape of Troughton & Smith, anyone still saddened by the Eleventh's last stand could do worse than taking a trip a little further back in time. What it lacks in fish fingers, custard & fezzes, it more than makes up for in pure magic, recorder-based jigging & wonderful storytelling. And that's just The Mind Robber! So, book yourself a one-way ticket to the Land Of Fiction and don't look back..as a great man once said 'Nobody in the universe can do what we're doing', and he, with a little help from his friends, has been doing it for a long time now.